The Bengali surname Bose packs rich history. Sir Jagdish Chandra Bose, scientist extraordinaire. Netaji Subhash Chandra Bose, freedom fighter. Prof Satyendra Nath Bose, after whom is named the boson in particle physics. And yet, elsewhere in the world, when anyone carrying that surname is asked the question: “Ah, Mr Bose. Any relation…?” he knows they’re talking about just one Bose, the one who was alive until Friday. 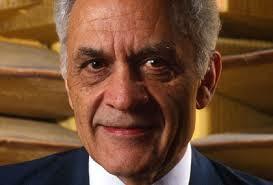 Amar Gopal Bose was a pioneer in modern acoustics. He was founder and chairman of the company whose products carry the Bose name into millions of homes and offices across the world. He was that rare combination of scientist, engineer, academic, and star entrepreneur (he made it to the Forbes 2007 list of the world’s 400 richest people). He’s in the US National Inventors Hall of Fame, alongside Thomas Edison, Graham Bell and the Wright Brothers. His father Noni Gopal Bose fled India in the 1920s, after being jailed by the British colonial police while studying physics at Calcutta University. Amar Bose was raised in Pennsylvania, where he went to school – while repairing radio sets for pocket money, and later, making and selling small electrical toys to support his family. He graduated in electrical engineering from MIT’s class of 1951. Bose’s first job was in the research labs of Philips, in the Netherlands, followed by a year in New Delhi’s National Physical Laboratory as a Fulbright research student. He went back to MIT for his PhD in electrical engineering. MIT’s School of Engineering instituted the Bose Award for Excellence in Teaching in 1990. During his graduate work, disappointed with commercial audio systems, Bose started designing speaker systems to try and recreate concert-hall sound at home. That’s when he created his direct-reflecting system: speakers that would make use of sound reflecting off the walls and ceiling. (He founded Bose Corp in 1964). The only time I met Amar Bose, in Delhi in the mid-1980s, I had the dual excitement of that meeting, and having him take me through an opened-up Bose 901 direct/reflecting speaker array. For me, then an amateur speaker-designer and writer on audio while majoring in physics, he was an icon. And the 901 was brilliant. It aimed at the wall behind the speaker eight mid-range drivers (those little, round-and-conical speakers), with only one aimed at the listener. Reflected sound dominated over direct sound-based on Dr Bose’s psychoacoustics research. This, and the pentagonal design, remain unique till today. While there is always debate on how great an audio product is, few question Bose’s brilliance in packing the most amazing sound into smaller and smaller packages-and using reflected sound to amazing effect. The Wave Music System remains one of the most popular, and the most capable, of compact music systems. Also unique among those of Indian origin is Bose’s success as a consumer brand, alongside its founder’s success as scientist-engineer-academic-entrepreneur. Even with the large number of Indians in Silicon Valley, there are no other Indian surnames that have become household names, the way Bose has.